The search is over. Ed Dadey has been found in the cracked-shire of Brooklyn, but no thanks to any of you who sat back and ate Twizzlers while the rest of us actually looked for Ed. He sent word to me through a small crack in a sidewalk near Frank’s Lounge in Fort Greene (Voted Best Bar to Show Pictures of Your Family Reunions Over Scotch, according to yours truly). And, according to the wadded up napkin where he scrawled his missive, Art Farm might be unveiling a showcase of writerly talents from its former resident population at the esteemed KGB Bar* next month, February 10th. Maybe Ed is living in one of the booths in the back. Anyone who knows whether or not the KGB has bear rugs, sardines, or frozen cookies could shed light on this. A spectacular upcoming Art Farm reading would be a great reason for Ed to answer some of sweet Olivia’s interview questions. Based on a quick survey of his sentence structure, his faculties appear to be intact, and judging from his trademark dry wit, his spirits unflagging. All good news. 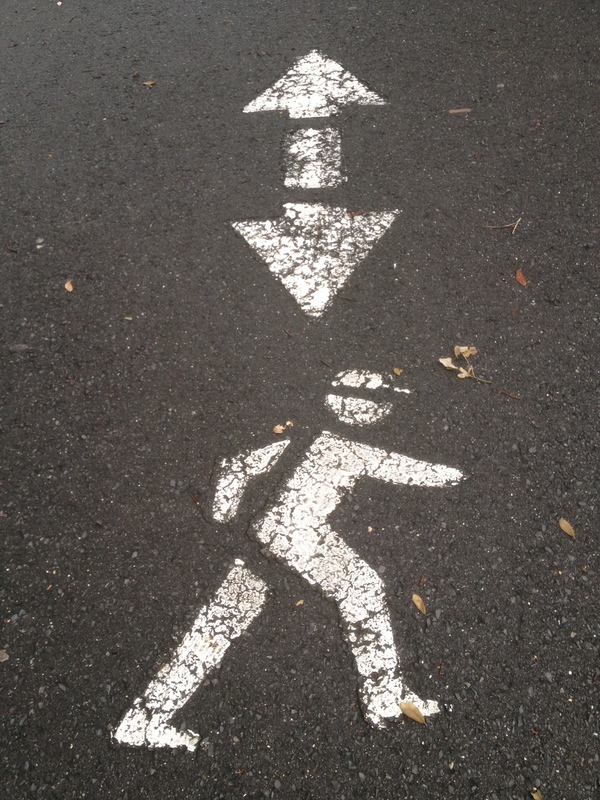 * Post script/footnote/asterix reason: I last stumbled into the KGB Bar in the fall of 1999 after a long day of reading concerned citizens’ letters about misspelled Parks signage and obstructed walkways. 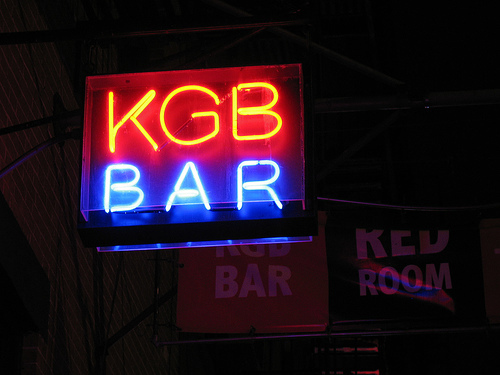 Since then, KGB has glowed larger and larger in my mind’s eye as a place for literary exchange and excitement. Aside from its adjacent lit journal, they are a veritable literary mecca: check out their upcoming events! A very special editor writer colleague of mine, Danny Goodman, founder of Fwriction: Review has guest hosted there, and fellow LSU alum and darling Tarheel DeWitt Brinson and co-conspirator Chris Shipman have said stuff there. I have not stood upon a bear rug in KGB. But I’ll ask about the sardines next time I’m there…. You could always come up (over?) and check! Please?